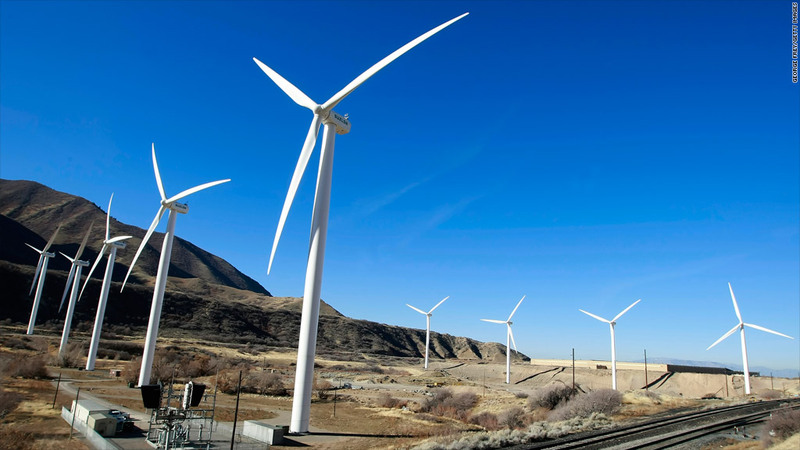 The government has spent more on wind turbines and other forms of green energy as part of President Obama's stimulus program. But some critics question of the investments were worth it. Over 770,000 homes weatherized. A doubling of energy from wind and solar. Cleaning 688 square miles of land formerly used for Cold War-era nuclear testing. These are just some of the 'green' benefits from money spent under 2009's $787 billion stimulus package. Whether it was worth it is an open question, and one sure to come up with greater frequency as the presidential campaign enters its final weeks. Tallying just how much cash went to green projects isn't easy. The government website that tracks stimulus spending lists 27,226 individual awards under the "Energy/ Environment" section, totaling just shy of $34 billion. But that doesn't include things like high speed rail and smart meters, which lie among the 43,000-plus "infrastructure" awards. In a report earlier this year, the Brookings Institution put green stimulus spending at $51 billion. 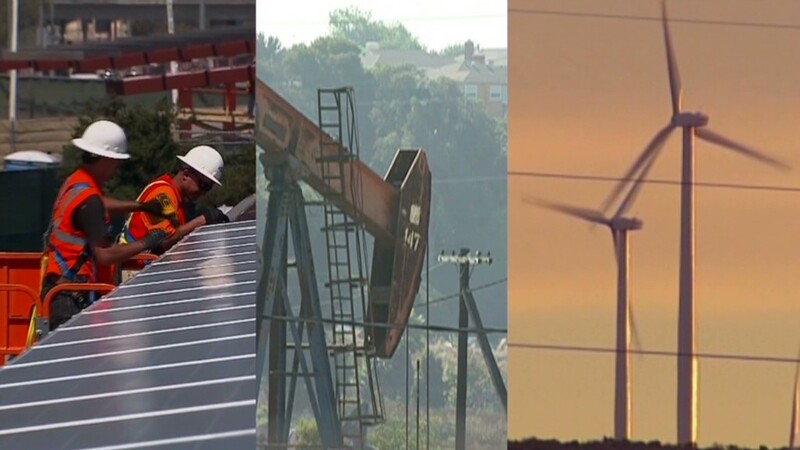 From 2009 to 2014, Brookings estimates the federal government will spend over $150 billion from both stimulus and non-stimulus funds on green initiatives. Nearly $100 billion of that will go towards supporting renewable energy, including subsidies for current wind, solar and biofuel projects as well as R&D for promising new technologies. Another $15 billion will go toward conservation, including the $4.8 billion spent on the home weatherization program. Funding for electric cars and high speed rail garner about $10 billion each, while smart grid and nuclear power get about $6 billion each. Roughly a third of this money comes from the stimulus program, and most of it is already out the door. Many say it's money well spent. "This is going to be seen as a major driver of innovation in the energy sector," said Mark Muro, policy director at Brookings' Metropolitan Policy Program. "We will see substantial technology gains." Muro noted the declining price for wind and solar electricity, and said in some markets it's already competitive with fossil fuels. He said this one-time jolt of stimulus cash is needed in a sector such as energy, where the size and costs of projects make it hard for new technologies to emerge while old technologies enjoy the benefits of decades of previous government support. Muro thinks renewables like wind and solar will soon be able to compete on their own, and the stimulus will have played a big part in that. Plus, many countries are searching for cleaner energy technology, and the United States "should become competitive in supplying it," he said. But others say these efforts have been a total waste. Subsidies for renewable power are particularly problematic, they say, as electricity from wind and solar is still generally more expensive than that from coal or natural gas. "It makes companies not want to move here and leaves consumers with less money to spend," said Diana Furchtgott-Roth, a senior fellow at the Manhattan Institute and former chief economist at the Labor Department under George W. Bush. "It's actually de-stimulative as opposed to stimulative." If conservation efforts like home weatherizations made sense, she said, people would do it themselves. She said the same is true for high speed rail and electric cars. More businesses would invest in these areas if there was greater demand. The fact that the government has supplemented the role of private industry in clean energy funding is a concern for many stimulus critics as well. The bankruptcy of solar panel maker Solyndra is usually Exhibit A. Solyndra received a loan that was part of a Department of Energy Program which was expanded under the stimulus package. Critics say the Solyndra debacle, which cost taxpayers over half a billion dollars, demonstrates that the government doesn't have the expertise to pick winning companies in the fast-moving alternative energy space, especially at the commercialization level. "The government finds itself subsidizing products people either don't want or won't spend money on," said Furchtgott-Roth. "This isn't an area where it should be involved."